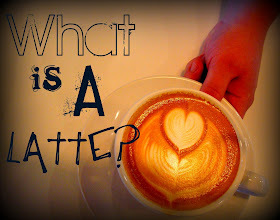 Coffeegirl: What is a Latte? 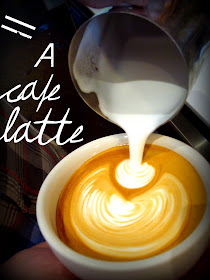 A Latte is one of the most basic espresso based coffee drinks (coffee brewed on a espresso machine). It is the drink I most often recommend to newcomers because it is a safe, basic drink that you can have fun with if you want. "Latte" literally means "milk" in Italian. 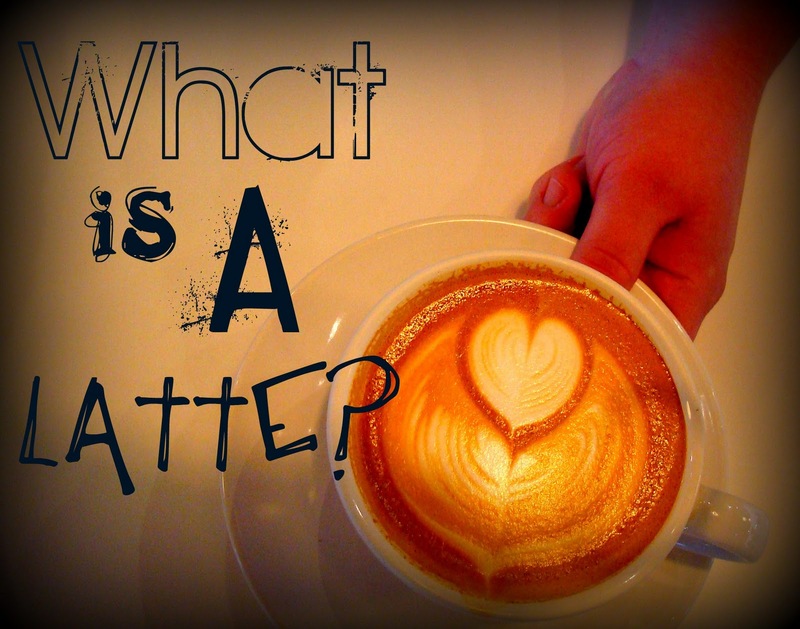 So why is this coffee drink called a latte? Well, "Latte" is short for "Cafe Latte". "Cafe" literally means coffee in Italian. So if you went to Italy and ordered a cafe latte, you would get a funny look and receive something that looked like this. However, Americans changed this. 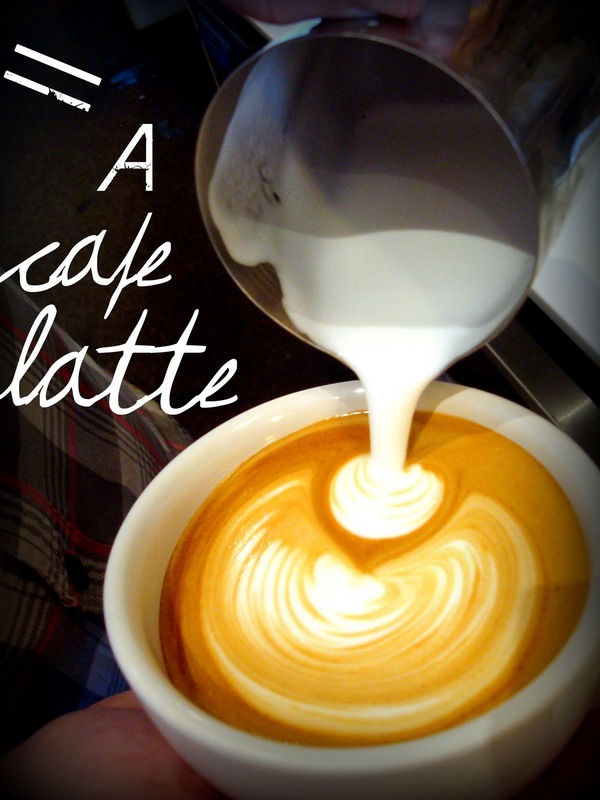 A cafe latte is not a part of the main traditional Italian drinks like the cappuccino. 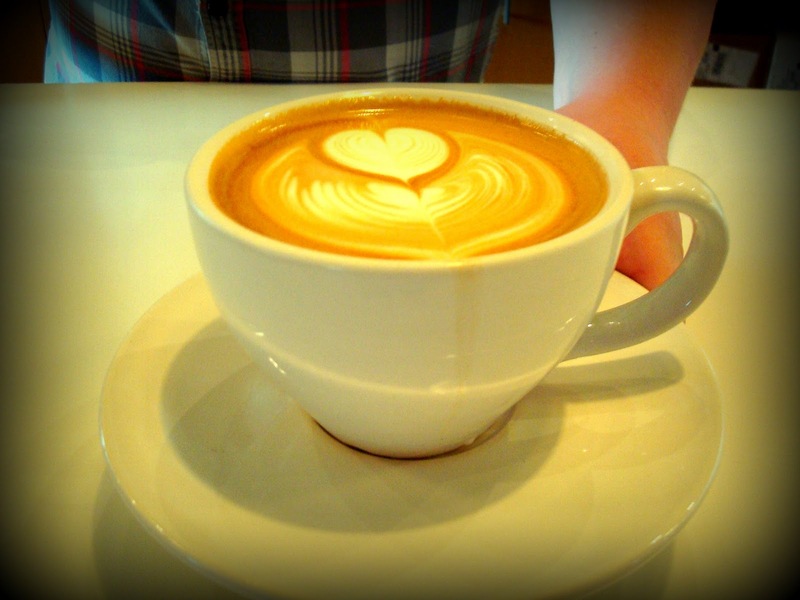 Caffee Mediterraneum, in Berkeley, California, claims to be the place where the American cafe latte was born. According to them, one of their owners, Lino Meiorin, came over from Italy in the 1950's and created a larger cappuccino with more milk to appeal to a wider crowd. 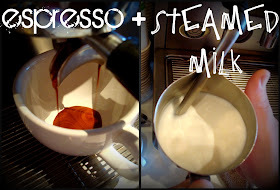 Today, the cafe latte has become to be espresso + steamed milk. Compared to a cappuccino, a cafe latte has less espresso to the milk ratio and less foam in the steamed milk. 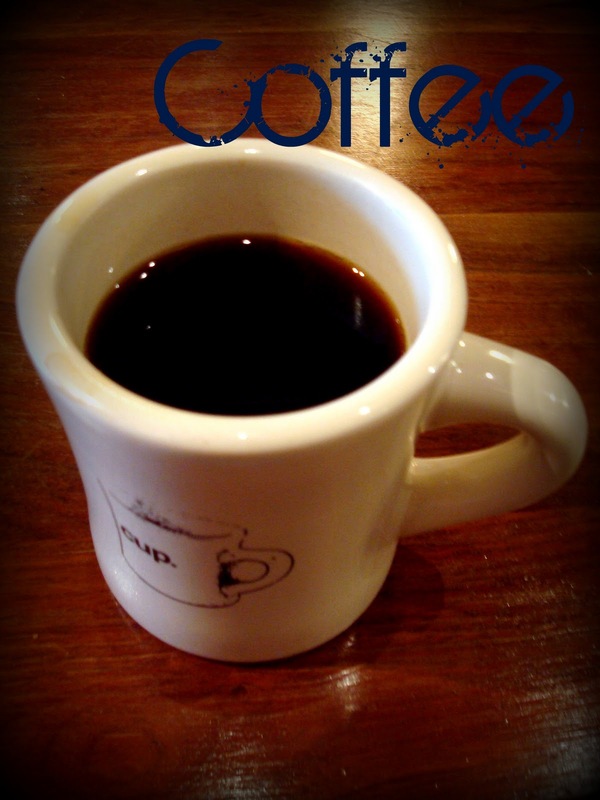 It is also served at a higher temperature than a cappuccino. In a 12 oz. 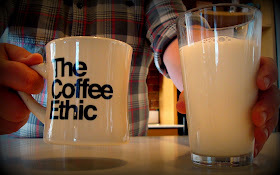 or tall latte (like pictured here), there is two shots of espresso mixed with steamed milk. But the great thing about lattes is they are the basis for many other coffee drinks. For example, a mocha is a latte with chocolate. So be creative with your latte, but it fantastic all on its own as well. I took and own all of these photos of my co-worker, David, in action. What? 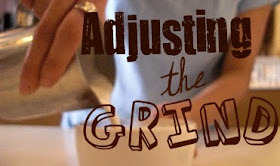 I've been looking down my nose at my wife's lattes and my mochas are just a chocolate latte? World shaken. In Italy you can order a caffè latte and nobody would look at you funny. 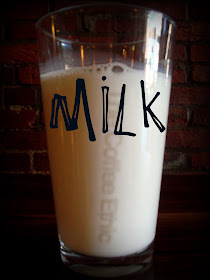 You would get a tall glass of warm milk with one shot of espresso poured in. Its easy and tasty! @Krista: Thanks for your input! You are right you wouldn't get a funny look in Italy, but I was just trying to show that cafe latte looks different in Italy than it does in America. 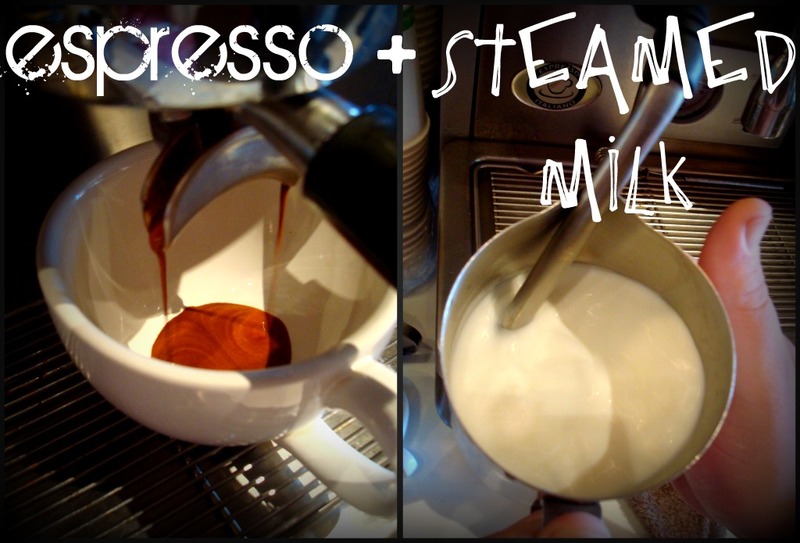 Espresso Machines are the perfect item to own. I love mine because I am able to make cappuccinos and lattes in my own house!